Mother’s Day is approaching next month on Sunday, May the 12th so why not do something different this year and treat your mum to a luxurious villa stay in Bali? It’s better than a good old bunch of flowers, and she’ll never forget that you thought to make an effort. If that’s a little pricey, then take the villa for the family, then consider some of the following options to bring home to your mum after your amazing Bali holiday. Sending Mother’s Day greetings from all the team at Asia Holiday Retreats. You can check out the villas we have on offer for May here. Enjoy! 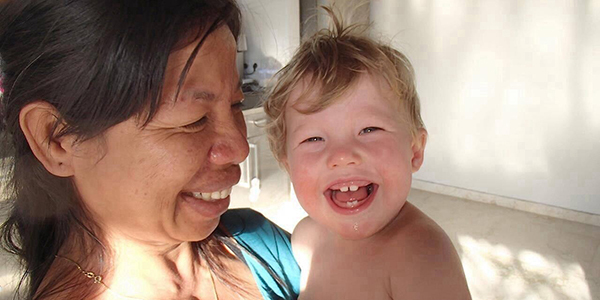 If she’s a mum with young kids and she’s lucky enough to make it on your Bali trip then give her the gift of time by hiring a full-time nanny for the entire holiday. Prices are affordable, and there’s nothing better for the soul than having some precious time off from mothering, the most important job in the world. 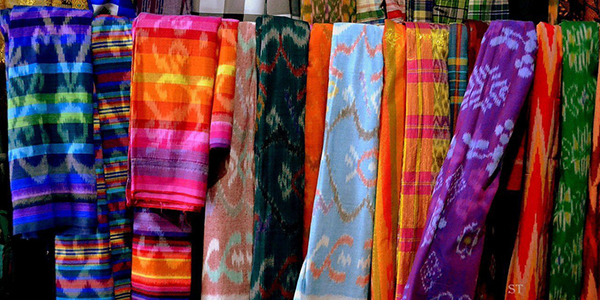 Take home some traditional Balinese gifts like beautiful Batik sarongs, embroidered cushions, candles, incense and even Hindu decorative statues. This is an especially good idea for alternative and new age mums. They’ll be thrilled to be able to create the atmosphere of Bali back at home. 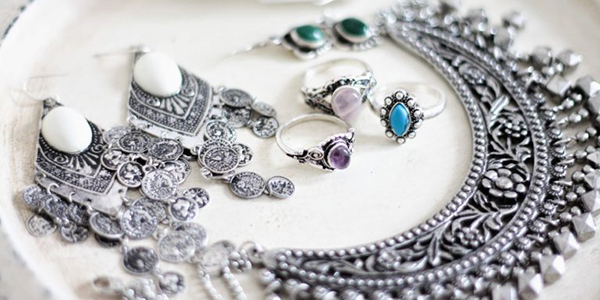 If you prefer the personal touch, then head up to Ubud to one of the silver making factories or jewellery making workshops that are based up that way. You can either get something commissioned or create a piece of your own design. The workshop assistants or head jeweller will help you to suss out the best plan according to your skills and the time you have. 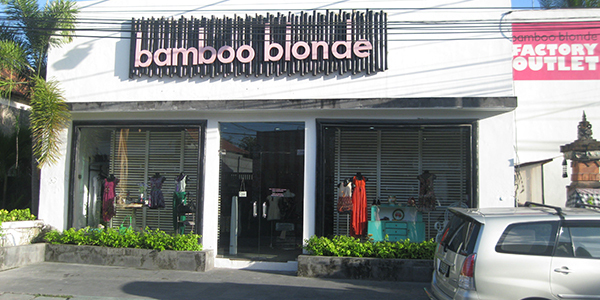 Get your mum to Bali on a plane and then out onto the streets of Seminyak. For a reasonable amount, your mum can take one of our drivers out for the day, sit in cafes drinking lattes then look around the boutiques for the perfect dress or dresses to take home again. 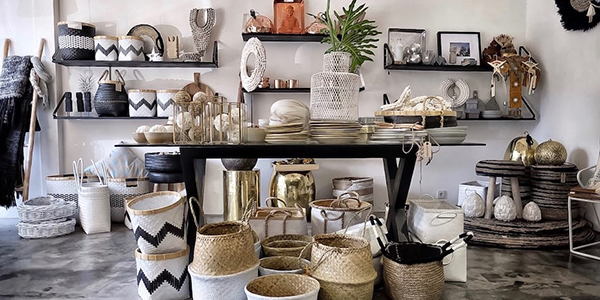 This one might take longer than the others, but there’s nothing your mum will like more than a trip to Jalan Kunti or Jalan Mertanadi for a commissioned piece of furniture. You can visit one of the many wood workshops together and order Bali style furniture for her home. 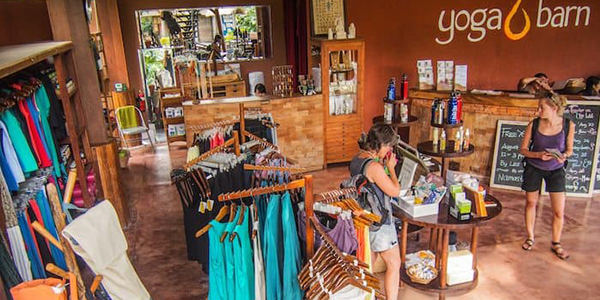 There are many affordable shipping services out here in Bali so don’t worry if she can’t fit everything in her carry on. Go wild with Bali’s incredible woodworking. Head to WEAR or the Yoga Barn and stock up on lounging gear for your mum. Each of these retailers has everything for all types of women. Whether she needs new workout gear for the gym or a mat for her at-home practise, these guys have got it. Stylish, comfortable and most importantly, their stock is almost all made of organic materials. 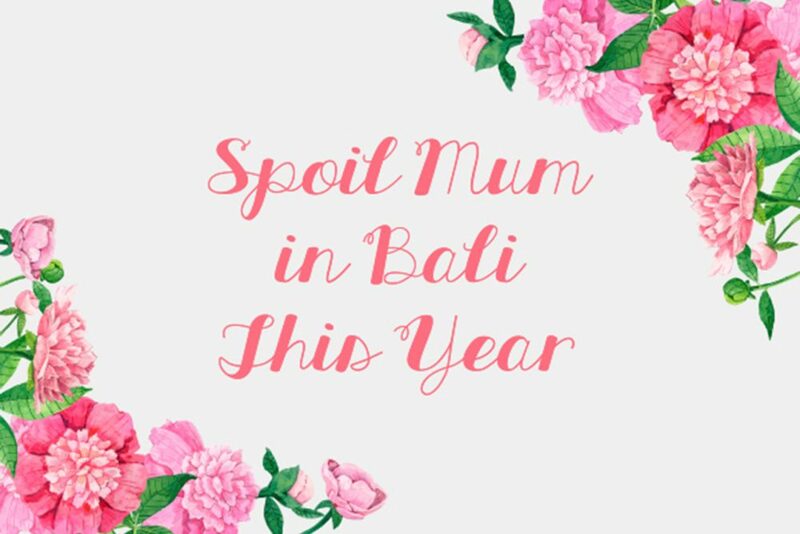 If you’re going to go ‘all out’ this year and bring your mum to Bali, then let us know ahead of time. For a small fee, we can have almost everything ready for her arrival. Think champagne and fresh fruit, a massage service and even a driver. Whether it’s for you or for her, you can check our available villas here. May is a great month to come to Bali, and we can’t wait to meet you.